Skulls! You can never have enough skulls! This skulls collection brings you nine skulls and a bonus skull pile. 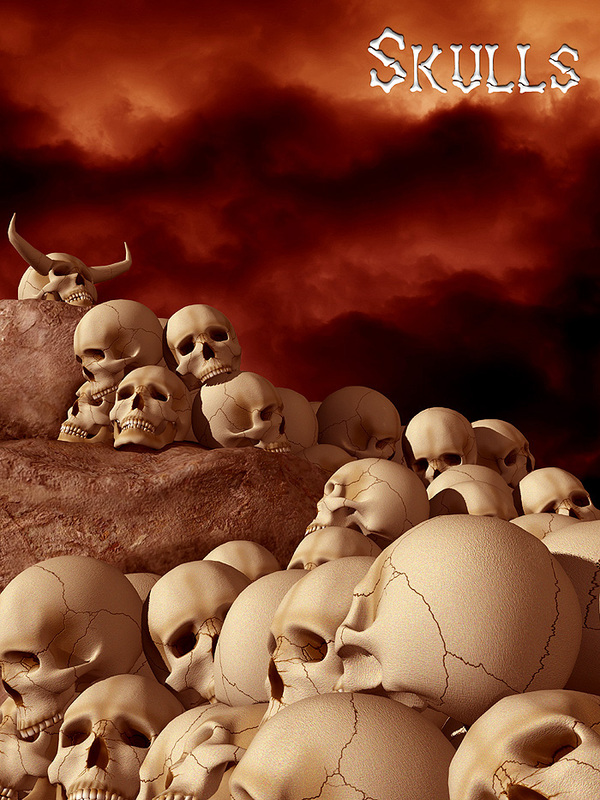 The nine skulls are comprised of two normal skulls, six various horned skulls and a vampire skull. Mix and match between the various skulls to add as much bone to your scene as needed. Pile them up, spread them around, and most of all, have fun.